Peppa Pig is a children’s television programme. Each episode is approximately 5 minutes long. 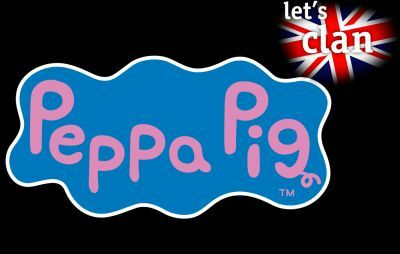 The show revolves around Peppa, ananthropomorphic female pig, and her family and friends. Each of her friends is a different species of mammal. Peppa’s friends are the same age as she is, and Peppa’s younger brother George’s friends are the same age as him. Episodes tend to feature everyday activities such as attending playgroup, going swimming, visiting their grandparents, cousins, going to the playground or riding their bikes. The characters wear clothes, live in houses, and drive cars, but still display some characteristics of the animals on which they are based. Algodoo is now FREE! Algodoo gives you the opportunity to play with physics. Use your own hands and simple drawing tools to design, construct and explore the world of physics. Sounds like an interesting idea? Algodoo is that program. If you are not an idiot, you should have no trouble passing this test, although I don’t think anyone will get this right on the first try. But don’t worry, you’re still pretty smart if it takes you two tries. If you need more than three attempts, well let’s not go there. If you are having trouble, maybe you should take a break and try it later.